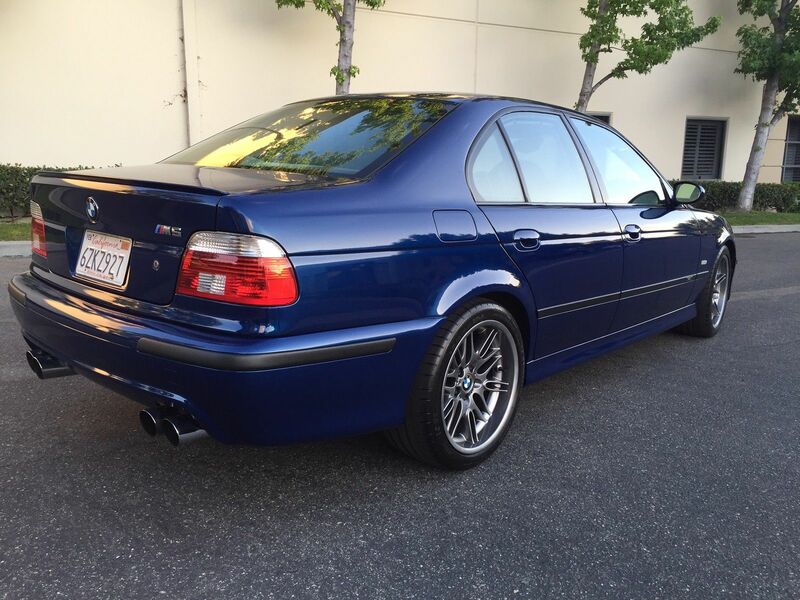 Find this 2000 BMW M5 here on eBay bidding for $8,695 with auction ending Thursday at 9:22PM Pacific. CAR ALSO HAS A RACING DYNAMICS COMPLETE EXHAUST SYSTEM, RUNS AWESOME AND LOOKS STUNNING, DRIVE STRAIGHT AND HAS NO ERROR LIGHTS ON. 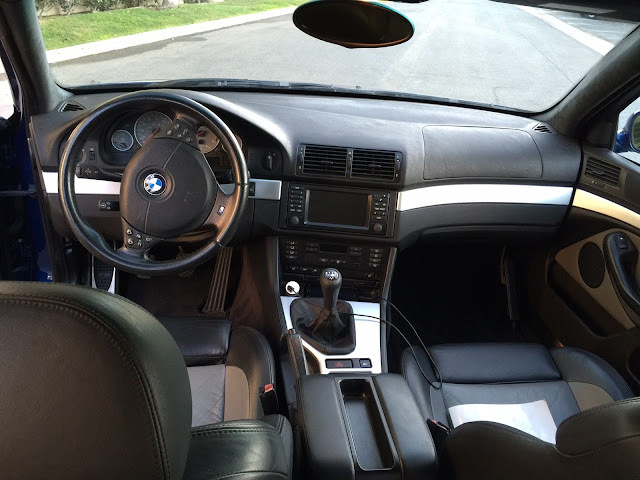 PICTURES DO NOT DO IT JUSTICE, THE LEATHER IN THE CAR LOOKS LIKE IT HAS 20K MILES AND THERE ARE NO ABNORMAL WEAR MARKS ANYWHERE. FRONT BUMPER AND HOOD HAVE BEEN PROFESSIONALLY RE-PAINTED DUE TO ROCK CHIPS FROM HIGHWAY DRIVING. I WILL ARRANGE SHIPPING FOR ANYBODY WHO IS OUT OF STATE! I want to drive this very badly. My mom had a 2000 540i when it was new, I was still in highschool and for some reason I usually wasn't allowed to drive it, but from the one glorious time I did I can say it would slide around a corner, just a little oversteer on exit, like it was the most natural thing in the world. It had pretty much all the good stuff except a third pedal and an M on the trunk. It should be noted that mom wasn't afraid of a manual, she traded in her Z3 for the 540. She had the removable hardtop on the Z and daily drove it year round in upstate new york, good times. 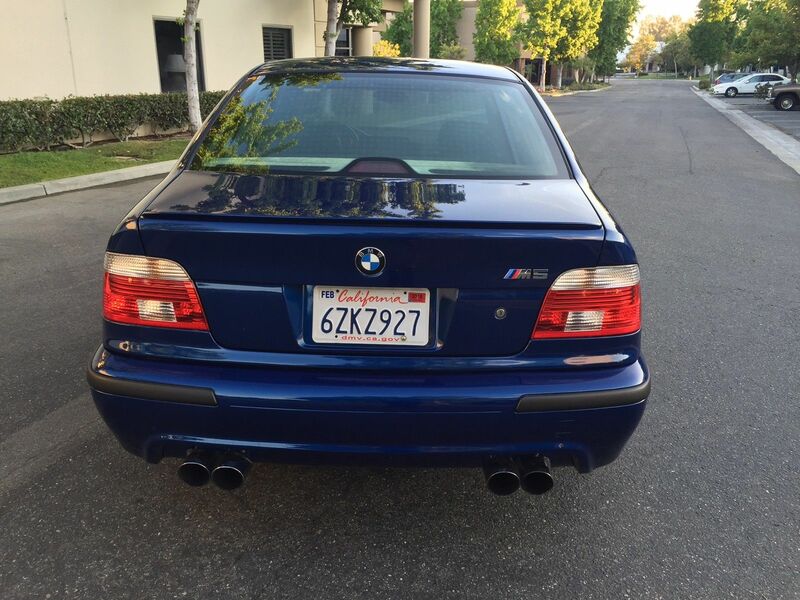 Oh yeah, M5... I'm sure the extra 100 hp would be a blast, along with even better handling, it'll be a lot of fun for whoever buys it. Just keep up on the maintenance. 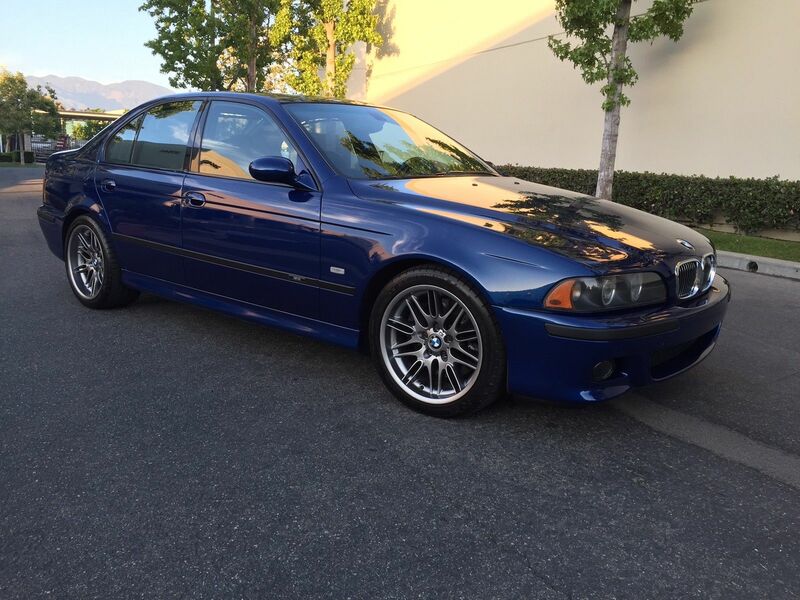 E39 are one of the best cars BMW ever made. This is beautiful, but I missed the part about full service history. For this price the car should be well documented. He dumped a poop load of money into it for sure. As Kilgore Trout mentions, one of these with deferred maintenance will kill you. Stunning cars when kept up.